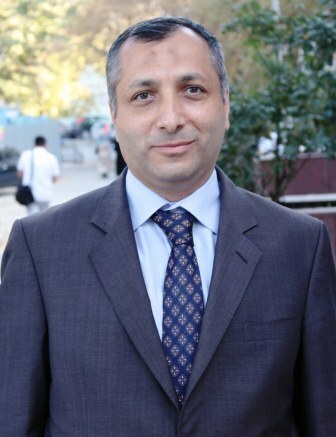 He was born in 1967, graduated from Divinity School, Marmara University, in 1989. He received his PhD. in The Institute of Social Sciences, Economic History Department at Marmara University and his thesis was published by Turkish Historical Society under the title of : Osmanlı Para Vakıfları: Kanûnî Dönemi Üsküdar Örneği [Ottoman Cash Foundations: The Case of Uskudar by the time of Sulaiman I The Lawgiver] (Ankara 2003). In addition to his PhD. Studies, he did research at Warwick University, UK as a post-graduate visiting student in 1993-1994. He worked for Turkish Religious Foundation Center for Islamic Studies and was a member of scholars board on Turkish history and civilization in 1997-2000. He is an affiliated author and member of scholars board on Turkish History and Civilization in the Center and contributes in the TDV Encyclopaedia of Islam (DIA) and other publications of the Center. He was appointed as an associate professor of Islamic History in the Department of Islamic History and Arts, Divinity School of Istanbul University in 2006, and became full professor of Islamic history in 2009. He served as the deputy dean of the Divinity School of Istanbul University in 2009-2010 and was the head of Islamic History Department and member of executive committee of the School in 2006-2012. He has been a faculty member at the Islamic History Department in the Divinity School of Marmara University since 2012 and he is the head of Islamic History and Arts Department since 2014. He was a visiting fellow at ILSP, Harvard Law School for 2013-2014 term. His areas of specialization include social and economic history of Ottomans, Ottoman foundations, traders, craftsmen; non-muslims in the Ottoman society, Ottoman grandmuftis, Ottoman archives, Ottoman court records, Islamic manuscripts, Islamic economics, Islamic banking and finance. He published books and articles on Ottoman foundations (waqfs), Ottoman traders, Ottoman court records, Ottoman legal, economic and social history.